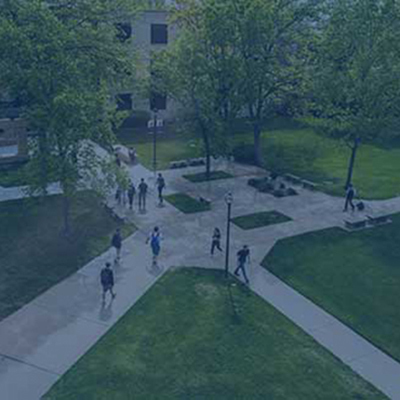 Washburn’s Memorial Union has been where Ichabods come to relax, eat, meet and play since 1951. It’s also a conference center for University events and the Topeka community. In the Union, you’ll find a place to study, hangout in between classes or grab a sandwich to go. You’ll find things in the bookstore and at the Ichabod Service Center that you won’t find anywhere else on campus. As an Ichabod, you’ll be in the Union a few times a day. The Memorial Union is also the perfect place for your next event. Union staff will help you host a successful event by providing courteous service, flexible scheduling, and an environment that is clean, comfortable, user-friendly and aesthetically pleasing. Make the Memorial Union part of your Ichabod experience today. Washburn's Book Store , located on the lower level of the Memorial Union. Go check out the the Ichabod Service Center, located on the main floor of the Memorial Union. Shawnee County designated Washburn University’s campus as the home of a planned war memorial in 1946. But it was students who insisted the memorial become a student union. On May 29, 1946, at a Washburn Student Council meeting, 601 students reportedly signed a petition favoring a $3 per student per semester fee for Union construction. The initiative was approved. A major campaign to raise $250,000 to build Washburn’s Memorial Union was launched in 1947. Alumni and friends were encouraged to donate $30 that could be paid off in three installments. Even Shawnee County public school children participated by collecting and donating pennies, $6,439 worth. The Memorial Union was dedicated on Washburn Founders Day: Feb. 6, 1952. It was paid for completely with individual contributions. The university quickly outgrew the original union and an addition was planned that would double the square footage. The construction was nearly completed when the infamous 1966 tornado destroyed six buildings on campus. Damage to the Union was minor. The most recent addition to the Memorial Union was completed in 2001 when the Union Market food court opened in Stauffer Commons. Today, a bronze plaque listing the men and women from Washburn and Shawnee County who made the supreme sacrifice for our nation in World War I and II and the Korean Conflict is located at the Union's main entrance.